I write mediocre streams of consciousness about real life. Kindness and love live here. I’m Vanessa Nichols. I’m a mom, a daughter, a business owner, a dog lover, a yoga doer, a traveler, an advocate, and an ally. Writing is my therapy. It’s my outlet. It’s my truth. My most viral post was a letter to teachers after the Parkland shooting. I was humbled by how many I reached with that post and received so many followers thereafter. Just a few months ago, in January 2018, my son came out as transgender and much of my writing is dedicated to him, to our journey, and to my personal journey. This has been a learning process for me as a mom, to educate myself on what it means to be transgender. This road as a parent of a trans child is ever-evolving. My son is teaching me everything I need to know so I follow his lead. You’ll find that if you go back in my writings, prior to my son coming out, if you read between the lines, or in some cases, read the lines themselves, you’ll feel my struggle of coming to terms with having a trans child, but hopefully, you’ll also be able to feel my absolutely love for him, too. My writings sometimes are sporadic, sometimes they’re messy, sometimes they’re raw. Much like life. I’ve recently devoted a lot of time to the advocacy for trans youth, attempting to erase ignorance, educate, and embrace this marginalized community. Most of my writings center around this role in my life, however, I also tend to spout off about social issues, divorce, co-parenting, getting older, amongst others. I don’t promise consistency here. I also have a podcast on Anchor FM called Being TransParent where I discuss all things about my journey of parenting a trans kiddo. If you’re here to be nosy, by mistake, or to ridicule me: welcome. I hope you find my page educational and enlightening. If not, I’m used to receiving hate mail so feel free to spew your ignorance. My writing has also been featured on BLUNTmoms.com. 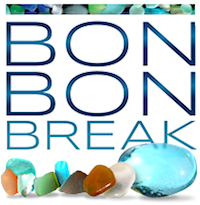 The first time I was ever published online, BonBonBreak.com. One of my favorite posts I wrote was published on Elephant Journal. See my honest post about infidelity on Thought Catalog. My featured letter on The Atlantic in response to a transphobic article they ran. I’m a 60 yr old, born again Christian, a wife, a mom, a Gramma, a stepmom, a loyal woman, who would never betray anyone. I love too deeply and am still naive enough not to be able to see people using me. I fell in love with DOOL in 1972. In 1984, I fell for Bo! Then, this guy with a patch on his eye, came on! My, oh, my! He was handcuffed to a couch, alone with Hope. She was eating, and in the moment, he said, ‘Feed me, baby’ I melted! And, I have still got that feeling as I recall that scene today. You are a shining example of how young or old parents should behave, if put in your shoes. I can’t say I’d have the grace and patience you have displayed. I’d be proud to call you my daughter. I read and put comment about your letter about teachers. Thanks. I only have one thing that I hate being called: A Babysitter! We do not babysit but nurture children. We are educated, smart and make hundreds of quick dicisions every day. Thanks, Bernadette. That was not intended to be an insult. I meant it as one of the ten million hats you were all at once. It was nothing more than a metaphor. I apologize you took offense to it. Thanks for reading. YES, Donna! All of what you said- so true. Thank you for sharing your thoughts and for reading my post! could you remove the line about “trans-parenting” that’s ridiculously co-opting people who are actually trans and parenting.